You can learn what a person is like just by knowing their travel preferences. For instance, those who would choose isolated beach destinations are probably city dwellers or employees wanting to escape the busy life. Travellers who would choose diving and hiking destinations are more of the adventurous type and are looking for a thrill. And those who would prefer to stay in cities are probably mostly in rural places and then you have those who love to cruise. However, if you ask them if they want to go to the Arctic, almost all of them would jump on the opportunity. An Arctic cruise is a unique type or travel that allows you to journey through the wide expanse of the North Pole. Just to get an idea how big the Arctic Circle is, it spans places like Norway, Sweden, Russia, Alaska, Greenland, Canada, Iceland, and Finland. About 6% of the whole world! And unlike what majority of the people think, the Arctic is not just a huge land of ice. You can find breathtaking natural landscapes here and countless wildlife. But before you reserve a slot on the ship and secure a cruise travel insurance, you must know that to maximise an Arctic cruise. You should check out these ports of call. This is one of the most fascinating places to visit on your Arctic cruise, because this is the real “song of Ice and Fire.” Apart from the famous geothermal pools, galleries, and a colourful night life. 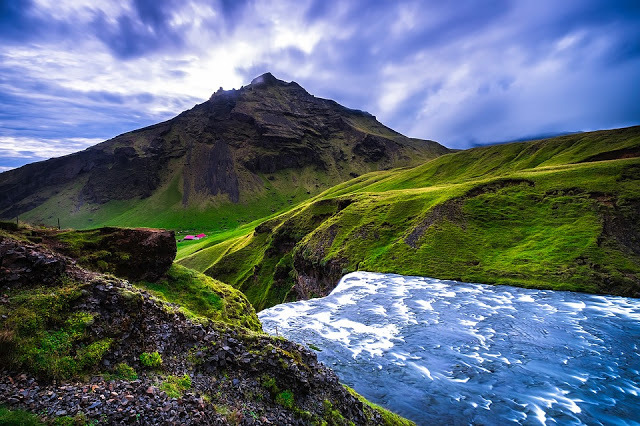 You will also be up close and personal with the nearby volcanoes in Iceland. This is where extreme cold and extreme heat meet, a true collision of fire and Ice. In fact, it is these extremes in nature that gives power to Reykjavik. You should be on the lookout for this port if you want to get a few snapshots of the wildlife that exists in the Arctic Circle. Wrangel Island in Russia is located at the Chukotka region, and has been called the “polar bear maternity ward”. The same name given to Herald Island. Just based off of the name, these islands have a high number of cubs being born. Both glaciers can be found in Greenland and have made a name for themselves because of their size. The Ilulissat Icefjord glacier has been given the UNESCO World Heritage Site title. It covers over 35 cubic-kilometers of ice. It is one of the most studied glaciers, allowing scientists to understand climate change and ice glaciology. The Jakobshavn glacier, on the other hand, is known to have the fastest moving ice sheets with a height of up to 131 feet. It has the biggest ice stream outside of Antarctica. The Longyearbyen settlement can be found in the island of Spitsbergen, at the Norwegian archipelago of Svalbard. Considering it is already the largest settlement among all the islands, it only has about 2,000 residents. Here you will find, jutting high up the island, snow-capped mountains shadowing the community. There are tundras a roaming sleuths of polar bears around. Prepare the itinerary for a Arctic cruise and include one or all of these ports of call. As a tip, you can maximise your trip by planning your land tours ahead. Take lots of pictures and enjoy a truly unique trip around the Arctic.